If you’re in the market for a heated cat bed there are a couple of key things you’ll want to consider. First and foremost though, is does your cat really need a heated cat bed? Most cats will not require something like this because their fur is a great insulator on its own. The only reason a standard cat would require a heated bed is if the house gets down to a very chilly temperature at certain times of day and you don’t want to turn on a larger heating system. So given the above, I’ll outline some of the best heated cat beds on the market, but I’ll also discuss in more detail below whether or not your cat should really require a cat bed or if you are spoiling your cat (which I’m all for too!). One last thing to note, all of the beds below are for indoor use only. I have not yet compiled information on heated cat beds for outdoor/feral cats so do keep in mind none of the beds below should be used outside where they are exposed to the elements. 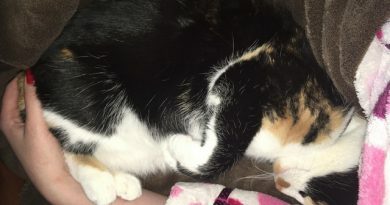 ​Does My Cat Need a Heated Bed? ​Are Heated Cat Beds Safe? ​How Long Will My Cat Take To Use It? 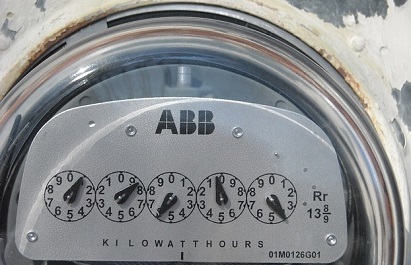 ​How Much Electricity Does It Use? K&H is by far one of the most well respected heated cat bed manufacturers on the market. You can see my brother’s cat Nala absolutely living it up in her K&H Thermo Kitty bed above. Not only ​has K&H they been around for years, but they also produce a wide variety of different models for both indoor and outdoor cats. This means they draw from a ton of experience and their products are tried and tested by cats from all walks of life. This particular model is king of the ring when it comes to heated cat beds. It is super simple to operate in that it simply has a heated pad that slides into the bottom of the bed and then it heats on up when your cat comes by and lays down on it. If you’re looking to treat your cat or ensure that your older cat stays warm in the colder winter months then this is the bed for you! As I mentioned above K&H is really a top of the line manufacturer in the space of heated cat beds. This is another variation on their main model that has a hood built in to help contain the heat and provide more of a cave like experience for your kitty to keep her even warmer! 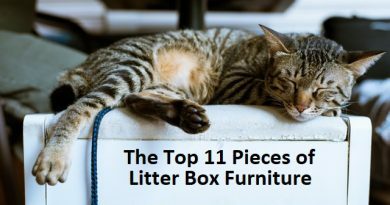 Just like the previous model this is for indoor use only, if you’re looking for outdoor kitty beds there are a whole host of them, but this article is focused on indoor kitties! This is a bit of a change up from the beds above in that it is a mat more than it is a bed. That being said, cats love snoozing on rugs, beds, mats & pretty much everything in between. If you have a cat that doesn’t love sides or walls around them then this is the option for you. I know I know, you’re already saying to yourself that the picture to the right has a dog on the bed, not a cat. I don’t have a dog! I have a feline! Why would I want this bed? The simple fact is that cats and dogs actually have pretty similar internal temperatures so beds constructed to keep dogs warm do a very good job of keeping your cat warm too! This bed is a little different from most listed in that you actually get to have some control over the thermostat and determine what temperature you’d like the bed to warm up to, within a predefined range of course. If you’re looking for a lovely place for your cat to get some zzzzs and have some of the best dreams of their lives then this is the bed for you. It is even called the Dream Pod, that means you know it delivers on its promises! All jokes aside, this pod is basically a cross over of the Twin Critters bed from my top 10 normal bed list and a heated bed. It will make any cat you have fall in love with sleeping inside of it and never want to come out to use the litter box or eat. Don’t worry though, they still will come out for those things, they just won’t want to. 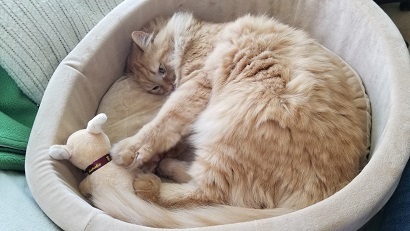 The Cangfort electric heated cat bed is a nice option if you’re looking for something very simple and straight forward to keep your cat nice and warm on those frigid winter days. Not only is it simple in design and operation, but it will also maintain a single constant temperature to keep your fluff ball extra comfy! Now to be clear this is more of a pad than it is a bed, while it does have a comfy cover it would most likely be best used inside of or on top of an existing cat bed of some sort. This is definitely one of the larger heated cat beds on the market coming in at about 23 inches by 17 inches. That means there’s plenty of room on it for two cats, especially if you’ve got a pair that is already close! This bed is perfect for older pets, or pets plagued by aches and pains as arthritis sets in or perhaps if they’ve just had surgery. You’ll notice there are no high walls on the side of this bed so it is easy for any and every cat to get on top of it and enjoy the warmth! 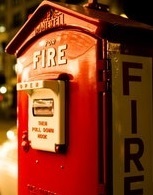 Art of Paws also wanted to ensure safety in your house for you and your family. Their cat bed warms up automatically when your pet sits on it and then reverts to a lower temperature setting when your pet leaves the bed. This ensures safety and conserves energy too, go green! If you want your cat to have her own little red barn, you know, like the ones you saw growing up, then this is the model for you. Not only does it look pretty similar to the barn with the red painted walls, but it’ll also ensure your feline friend stays extra warm. Now you do see a dog in the picture, forgive the oversight but the model does of course accommodate cats too! The warmth will come from three major sources, your cat, the enclosed walls and roof, and of course the built in heating system for your little red barn. As with any K&H model, this barn is fully tested to ensure it is safe and it will only heat up to its top temperature when your kitty cat is present. As with every model on this page, this barn is only intended for indoor use. ​With a name like the Octagon you'd probably expect some form of a battle to take place in it, but just the opposite is true. ​Unless your cats battle over good comfy sleeping places! I like the overall design and the functionality, it is an excellent product when it comes to providing your cat a nice warm place to call home on those cold days. 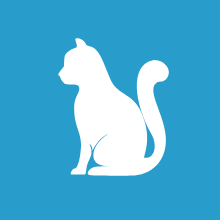 You already know that in general I am a big fan of K&H products, they make great stuff that ensures your cat lives like the king or queen she is. The only reason this particular item from K&H is last in my list is ​the cheetah print. Or perhaps it is leopard print. Whatever the case it just isn’t all that attractive to me​ and I wish they had other options available. ​Waycom has a new heated pad that has just come to the market. While heated cat beds are a surprisingly competitive space they've already seen a good number of really positive reviews on this new product. While I again don't love ​cheetah print models this does have an alternative simple brown cover you can purchase as well. Another nice perk is you can simply buy an extra cover if you know your cats are prone to furring it up. ​The heating mat itself is made of medical grade ​PVC and is considered fireproof, ​waterproof and dustproof. ​The cord is plastic-wrapped for chew resistance ​to keep your feline friend safe. ​There are 7 different temperature levels you can adjust it to that range from ​25~55℃. ​The LED attachment makes it easy to change the temperature in just a second. ​The cover is removable (and you can buy extras) and is super easy to clean by machine or hand. The pad itself should rarely require cleaning, but it can be wiped ​down with a damp cloth. ​Cisno brings another great option to the market that has a ton of versatility temperature wise and provides complete control through a small digital LED attachment. This means you can easily adjust the temperature for your feline friend. The key feature I note with this model is that it is an 'always on' model. Once you plug it in it will stay turned on and will always produce heat. Unlike many other models that are pressure triggered and turn off, this one will always be a warm spot for your cat to find. ​It will heat up to the desired temperature in less than 30 minutes after you plug it in. Note this model always stays on and isn't triggered by pressure from your cat! ​The cord is wrapped in both metal and a soft plastic cover to ensure your cat can't chew through it and won't get electrocuted. ​The product ​has a layer of anti flammable fabric built between the heating systems and the cover to ensure your cat stays safe and sound and so does your house! ​You can adjust the temperature from 77-131 degrees Fahrenheit, though 104 is about all you need for a cat. This can be done on the digital display attached to the bed. ​It comes with a spare ​fleece cover so while you're washing one you can slip the other on, no lost opportunities for your kitties! Does My Cat Need a Heated Bed? First and foremost you’ll want to consider your environment. If you live in a relatively tropical environment where the temperature is an average of 70 degrees Fahrenheit or higher then a heated bed is likely not necessary for your cat. A standard bed with a blanket will probably be plenty sufficient, or a cave if you want to take it a step further. If on the other hand your home tends to get pretty chilly from time to time, especially in the winter, then a heated bed might be a logical consideration. In general they chew up a lot less energy than heating the whole house and most of them only actually use energy when the cat is present in in the bed. Not only does this mean your cat stays warm, but it means you’re environmentally friendly too! This is the second largest reason you might consider a heated bed. 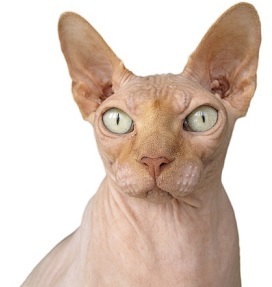 A few of our feline friends simply don’t have much hair, in particular breeds like the Sphynx. These cats would definitely appreciate a heated bed if they live in an environment where the temperature dips below the 60 degree mark. As we all know larger items maintain their temperature more effectively. A large cat will not get as cold as easily as a small cat so be sure to factor in the size and weight of your furry friend to determine if you’ll need a heated bed. Pretty obvious, long haired cats are less likely to need an additional heat source as they’ll generally just stay warmer. Age is another factor worth considering. The older your cat gets the more his or her metabolism slows down and also the more likely they are to lose weight. This is just a simple function of getting old. If your cat loses weight they are more likely to get cold more easily and a heated bed makes more sense. On the flip side of this very small kittens don’t stay as warm as their adult counterparts so it might be worth considering for a younger cat too. No Extension Cords: Generally speaking any type of heater that is running purely on electricity recommends not using an extension cord. The general reason behind this is that a lot of extension cords aren’t designed to support the amount of electricity that would flow through which could result in the cord itself overheating and causing a fire. Cleaning & Washing: If you decide that you’d like to clean or wash your heated bed you’re going to have to ensure you read the directions. Generally speaking you’ll have to unzip the cover and wash only the cover. The heating pad itself should typically not be washed. Addition Comfort: You’ll want to avoid placing anything additional on top of the heated bed other than the cover that comes with it. The primary reason is that this will help ensure you don’t create a fire hazard by placing something potentially flammable on the bed. While the average temperature of the cat bed is only about 102 Fahrenheit at maximum there’s no sense tempting fate with untested materials. If you operate your heated cat bed with these items in mind then you should have very little concern about safety. If you’re leaving the house for days or weeks at a time and your cat is coming with you then you can go ahead and turn it off by unplugging it, but beyond that these beds are designed to operate 24 hours a day. How Long Until My Cat Uses The New Bed? If you’ve had your bed for a few days and your cat hasn’t yet fallen in love with it, or maybe hasn’t done anything more than sniff it, don’t worry! Many cats will take a few weeks before they’re willing to explore a new bed, and you might have to get a little crafty to get your cat to try it out for the first time. The good news is, once a cat tries a bed and likes it they’re a heck of a lot more likely to come right back and use it another time. The cave my cat Beast has went unused for over a month before we left for a long weekend and then she discovered it when she didn’t have a warm lap to sit in. Now she sleeps in that cave every night! Make It Smell Like Home: We all know that cats base a lot of their lives around scents. They rub their paws and their faces all over everything to leave their scent and mark things as their own. Given this a new bed with a factory or shipping smell can be off putting. Try taking a blanket or another cushion or something of theirs and placing it inside the new bed. This will help bring them comfort and associate positive things with it. Mask Unknown The Scents: Similar to the above option, you can look at using a product like Feliway Spray to help your cat get used to their new bed. Feliway is a synthetic pheromone that comes in a little spray bottle and is scentless to us humans. On the bright side, it has a calming effect on most cats and will encourage them to otherwise explore or use spaces/toys that might otherwise ignore or hide from. Treat Motivation: It may go without saying, but if you have a cat that loves treats then definitely feel free to put them to use. Scatter a few treats in the bed from time to time to encourage your kitty to walk on and feel that nice new comfortable bed. Manual Intervention: There’s always the time tested option of simply picking up your cat and setting them in the bed. Now if your cat has already expressed fear of the bed I certainly wouldn’t try this. If your cat on the other hand has mostly simply ignored the bed then this can be a good option for a quick test of the bed. 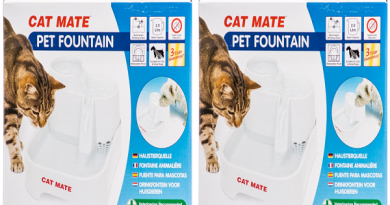 If you’ve got multiple cats that might use it you may also want to try Feliway Multicat. Check out my more in depth review of it here. ​Calculating the cost of running the bed may be important to you to ensure you're not running up your electrical bill to give your cat an extra comfy spot to sleep. Given this I've done some simple calculations on both the high and low side. I used the lowest watt bed (4 watts) and the highest watt bed (15 watts) and just assumed they are on 24 hours a day. Note I used a cost of about $0.11 per Kilowatt Hour to make these calculations and used this page from an ​ComEd Energy Savings as a reference on how to come to these costs. We all know every cat is a tad different in regards to where they love to relax and what materials they love to relax on. But I’ve personally never met a cat that doesn’t like to lay on something warm or lay in the sun when it happens to be shining through the window! On top of this if you happen to have a cat that might have any level of difficulty in staying warm on their own then heated cat beds can definitely be a huge bonus. This applies to small kittens and older cats in particular, but it certainly helps relieve aches and pains for cats that might simply have an injury or something like arthritis setting in. Be sure to try all the tips and tricks above if your cat doesn’t take to your new purchase right away. Cats are definitely creatures of habit and may take some time before they decide they want to try a new bed let alone fall in love with it. What type of bed do you use for your cat? Do you have a heated bed and if so how do you like it? 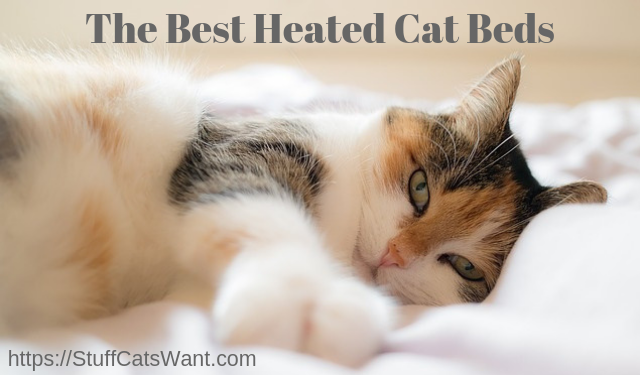 Tell us about your favorite heated cat bed, or better yet your cat’s favorite bed! Feel free to leave a comment below or send me an email at Craig@StuffCatsWant.com. i have a maine coone, which bed is best for a really large cat? I’d say the Thermo Kitty Heated Mat for Cats is your best bet cause even if your cat is a bit large for it it they won’t feel cramped, they might just have a leg hang off the side. We used to use a heating pad wrapped in a towel for our older cat, but getting one of those simple, flat cat beds was so much better and safer for her. Old cats love warmth for their achy joints, but even my younger cats will sleep on laptops or the cable box to get snuggly and warm. We live in Nevada so it’s not even cold, they just like the warm. I actually think they’d love to hole up in a dream pod. We’re going to have to take a look at getting that. Haha, my cat walks all over my laptop while I’m using it…I think to convince me to shut it down so she can lay on top of it for the warmth. Crafty little beasts! my cat loves to chew on wires, how do you keep cats away from the wires? Several of the options here have “chew proof wires” or guards built into them. I’ve noted that on each model so you can do a search for it in the article. Wow I didn’t realize there’s so many cat beds to choose from. I love the little red barn. Definitely upgrading my cat’s box with blanket to one of those!